Roofing Master has been offering gutter, roofing and siding services to the entire state of New Jersey. 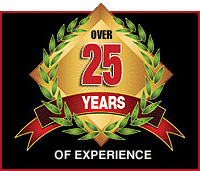 With over 20 years' experience we specialize in repairs, installations and maintenance. Our staff offers quality and reliable services that you can count on. Contact us today at 855-994-7676 to schedule a free in-home consultation!